Make Money While Making an Impact! The More Money You Make, The More Money Charities are Funded! 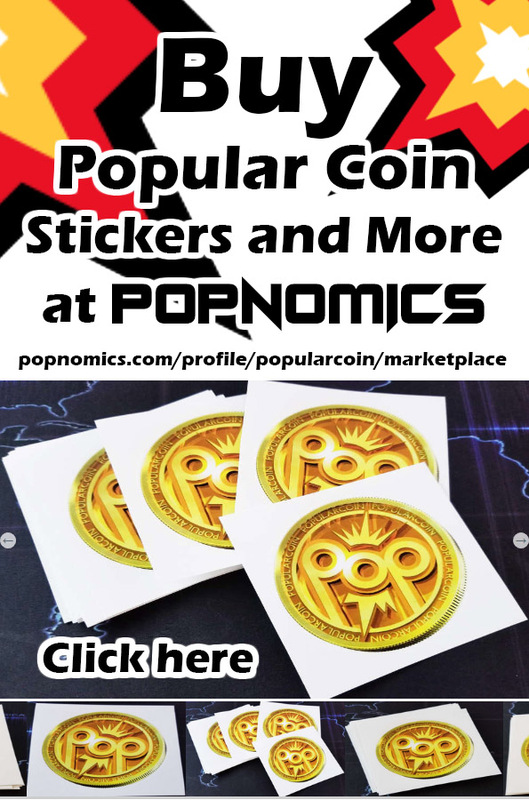 💥POPNOMICS Users get 1000 Points Every Day for Voting! Already Signed Up? Click here to visit charity voting and Win 1000 Points! You can feel better knowing that the social media you use every day is supporting your favorite causes! 💥POPNOMICS Gives all of the Platforms Profits to Users which gives the ability to donate 5% to charities and benefit the world. People use facebook, twitter and instagram, get paid nothing and there is no charity benefit from those platforms. 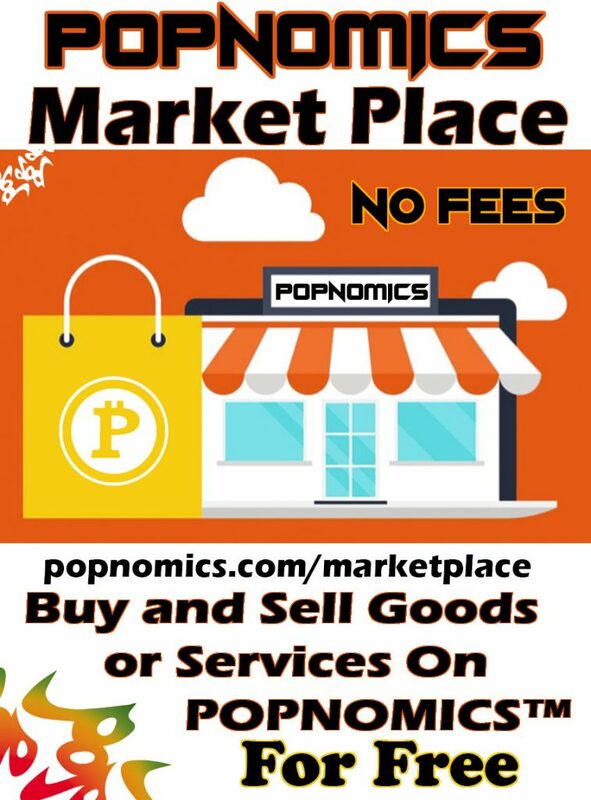 💥POPNOMICS benefits the world and pays users 1000s of times more than other social media platforms. Giving Back to the World and Making the World a Better Place Paying Charity Everyday! Throughout the day when advertisements are viewed and profits are generated the funding is put into the total daily 💥POP of funding for all users to split. All Charities Receive Payout of 5% of the Daily 💥POP. 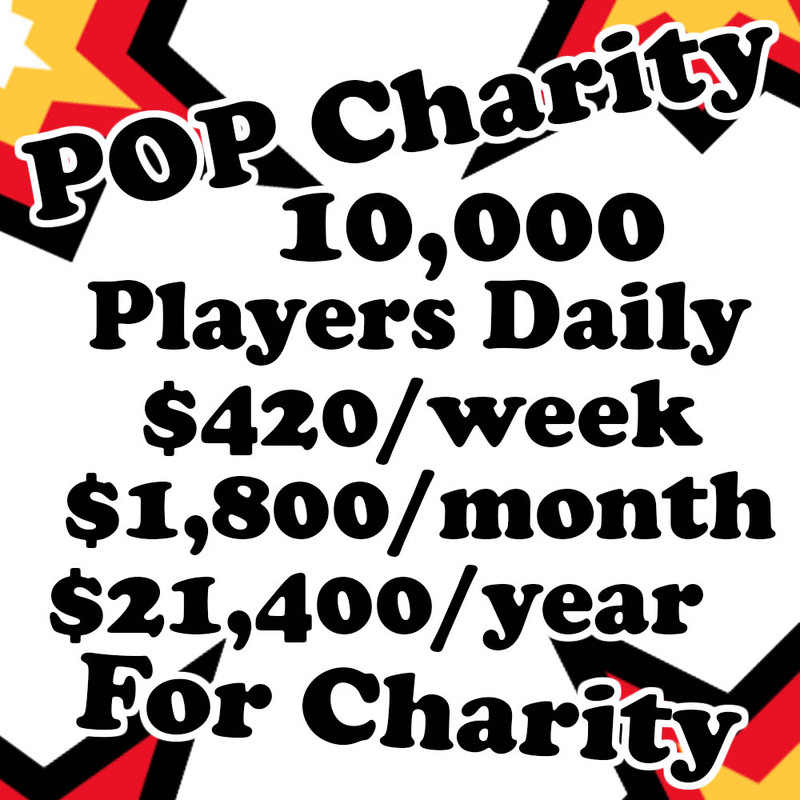 So if POPNOMICS has 100,000 💥POP for the day then Charity gets 5,000 💥POP! Players Vote For Their Preferred Charity and Receive 1000 Points! Charities get paid based on how many votes they get. So users votes for their preferred charity will ensure that it gets paid. The more votes a charity gets, the more of the total funding it receives. All votes are tracked on the Charity Voting Page and the Charities are in order based on how many votes they have so that the Charity with the most votes is at the top. The more users that join 💥POPNOMICS the more funding is generated which means that charities get even more funding! 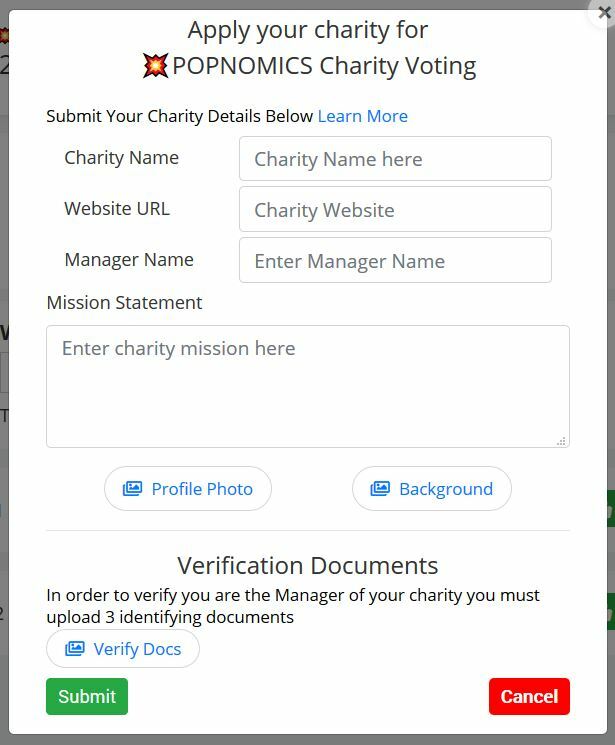 Verification Documents and Charity Must be real and will be verified by POPNOMICS Admin. Any Charity can apply so reach out to your favorite charities to let them know they can get funded passively, all they have to do is create an account on💥POPNOMICS and their charity will get funded every day when people vote for them! 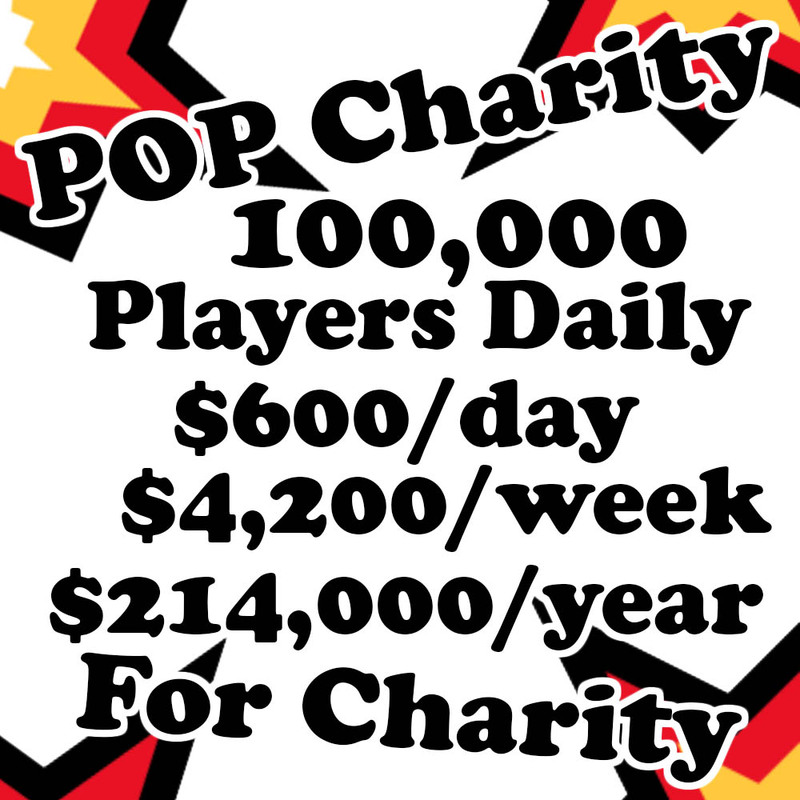 On Average POPNOMICS Users Currently Generate 1200 POP per day so if there are 10,000 Users Per Day that means that Charities would be getting 60,000 POP per day and at an average of 0.0001$ per POP that would give the charity funding $60 per day, $1,800 per month and $21,400 a Year! 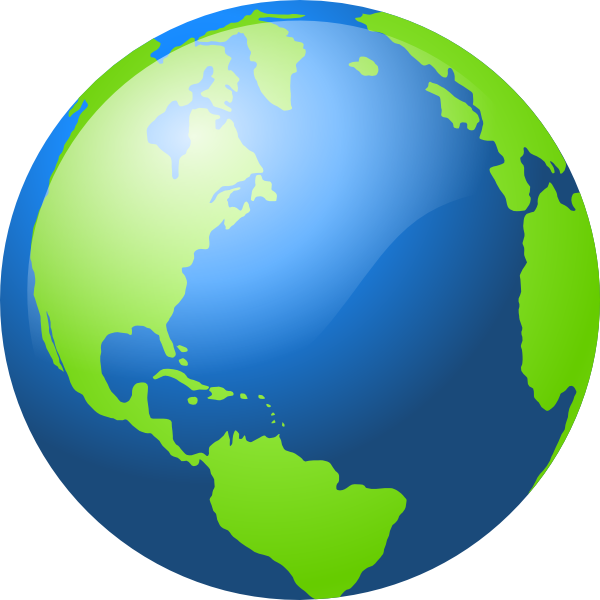 With 100,000 users per day $214,000 per year would be generated for POPNOMICS Charities. That’s nearly a quarter million dollars! Facebook is estimated to have over 1.2 Billion users per day that would make the charity funding of POPNOMICS $7,200,000 per day, $50,400,00 per week, $216,000,000 per month, and $2,592,000,000 per year. That is over 105 Million dollars a year that facebook is currently taking in as profits, all could be paid to charities while ensuring that users are also paid, $3,672,000,000 thats 3.7 Billion dollars per year that should be going to users! Popnomics™ does not take profits, all the proceed go back to users which is core functionality. The costs of overhead is programmed into the core functionality and all funding goes back to users. This can be applicable to many necessities in the world and lower the cost of products and even in some case like we see here with POPNOMICS, the users are even paid!